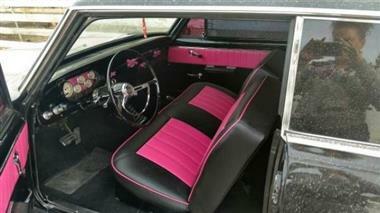 1965 Chevrolet Nova....Ladies hot Rod... Black with pink racing stripes, interior to match... Runs good has been taken care of, needs some paint work on trunk.. serious inquiries only.. pictures do it no justice.. 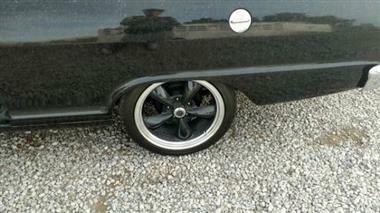 This vehicle is priced $6,502 less than the Average Market Price of $25,497 for a 1965 Chevrolet Nova. This is a Good Deal as it's priced 26.0 % below market avg. The Pie chart below shows the number of ads within different price ranges.